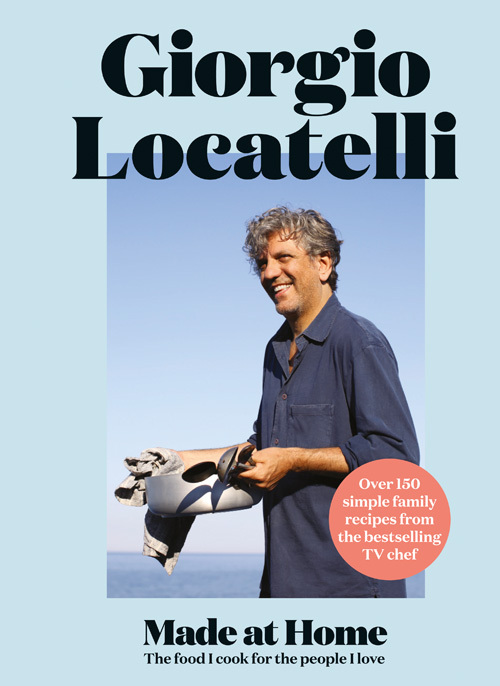 With recipes that reflect the places he calls home, from Northern Italy to North London or the holiday house he and his wife Plaxy have found in Puglia, Made at Home is a celebration of favourite vegetables combined in vibrant salads or fresh seasonal stews, along with generous fish and meat dishes and cakes to share. Early every evening, Giorgio’s ‘other family’, the chefs and front of house staff at his restaurant, Locanda Locatelli, sit down together to eat, and Giorgio reveals the recipes for their best-loved meals, the Tuesday ‘Italian’ Burger and the Saturday Pizza. Giorgio Locatelli is also a judge on BBC Two’s brand new competitive food show The Big Family Cooking Showdown, alongside chef Rosemary Shrager. They will judge and crown the nation’s best family of cooks. The show will be presented by Great British Bake Off winner Nadiya Hussain and TV presenter Zoe Ball. Made At Home is out on the 7th September and you can pre-order it now.